Home Crazy Deal on TC Electronic NR-1 Nova Reverb! 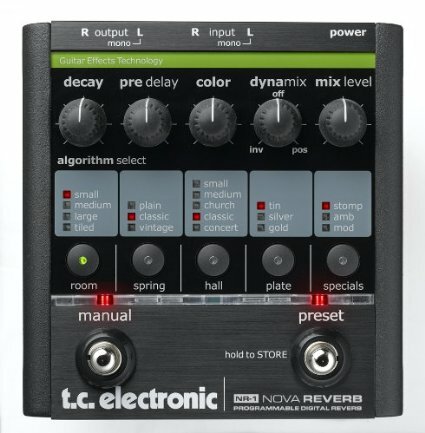 Crazy Deal on TC Electronic NR-1 Nova Reverb! I just stumbled across this today.. and you should be stoked if you’ve been interested in picking up a reverb. The deal that I just found was for the TC Electronic NR-1 Nova Reverb. This reverb usually is available for $200 – $270, but is currently on sale for a crazy low price of $99 at Amazon.com and ships with FREE shipping! At the time of this post, there were 20 units available. Not sure how long this deal is going to be around, but I would jump on it if you’re interested! As you can hear.. awesome reverb.. and for that price! Again, the TC Electronic NR-1 Nova Reverb is on sale for only $99 at Amazon.com and includes free shipping! deal is dead. It’s $217. not more than 24 hours after posting it, got it in my hands! guess i have something to do for the rest of the day.